This picture was tweeted by Gerrid Gust of Wheat Growers Fame. See the tweet here. According to the tweet string the neighbor was breaking ice. Gerrid made the comment that the neighbor would probably not be engaging in this practice ever again. 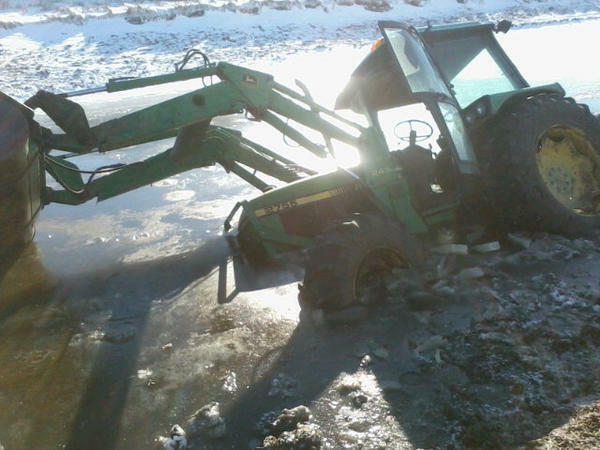 With many dugout and ponds just getting a nice layer of ice, farmers and ranchers still need to be careful. Have a safe holiday season.